Sterling silver ear wires with a 3mm faceted Ruby stone set at the bottom of each. 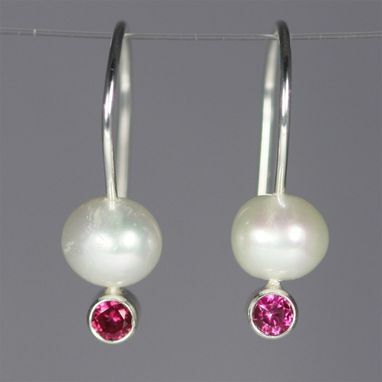 A freshwater pearl bead is then placed on top of each stone. Very traditional and classy. Earrings are about 1 inch long.